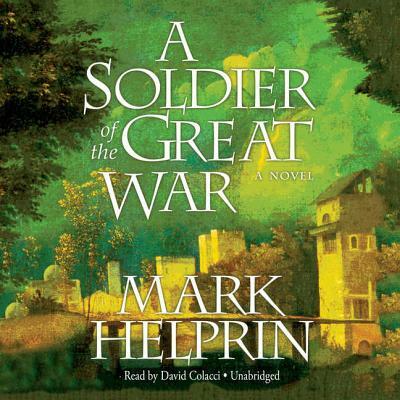 From acclaimed novelist Mark Helprin comes a lush, literary epic about love, beauty, and the world at war.Alessandro Giuliani, the young son of a prosperous Roman lawyer, enjoys an idyllic life full of privilege: he races horses across the country to the sea, he climbs mountains in the Alps, and, while a student of painting at the ancient university in Bologna, he falls in love. Then the Great War intervenes. Half a century later, in August of 1964, Alessandro, a white-haired professor, tall and proud, meets an illiterate young factory worker on the road. As they walk toward Monte Prato, a village seventy kilometers away, the old man--a soldier and a hero who became a prisoner and then a deserter, wandering in the hell that claimed Europe--tells him how he tragically lost one family and gained another. The boy, envying the richness and drama of Alessandro's experiences, realizes that this magnificent tale is not merely a story: it's a recapitulation of his life, his reckoning with mortality, and, above all, a love song for his family.